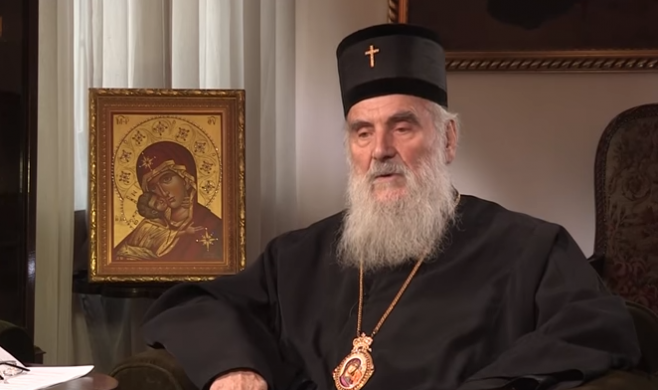 Patriarch Irenej for Bartholomew: "We do not accept an Orthodox Pope"
The Patriarch of the Serbs, Irenej, expressed his dissatisfaction with the handling of the issue of Ukraine by the Ecumenical Patriarchate and spoke against the ecumenical Patriarch Bartholomew. In an interview with the newspaper Politika, Mr. Irenej talks about a violation of the normal order and the endorsement of the schism in Ukraine. He says the Serbian Church is not on the side of anyone, neither the Russians nor the Greeks, as he says, but in favor of respecting the rules of the Church. He strongly states that for the Serbian Church, the granting of the autocephaly to the Ukrainian Church by the Ecumenical Patriarchate is void. He speaks of the Serbian Church’s emotional ties with Moscow and Constantinople, but cauterizes the role of Ecumenical Patriarch Bartholomew. “All autocephalous Orthodox Churches are equal to each other. The Patriarch of the Mother Church is first among equals. The Serbian Church, I believe the other Churches as well, will not accept an Orthodox Pope”, said the Head of the Serbian Church. Patriarch Irenej also referred to the possibility of “countries that fall under the Serbian Church, such as fYROMacedonia and Montenegro expressing similar ambitions” and warned that this would not be tolerated by the Serbian Church.